By Charles Boehm – WASHINGTON, DC (Sep 6, 2018) US Soccer Players - The USMNT won’t play a full competitive match until next summer. The US Soccer Federation’s coaching search drags on at a glacial pace. The current setup is not utilizing the full expanse of the player pool. 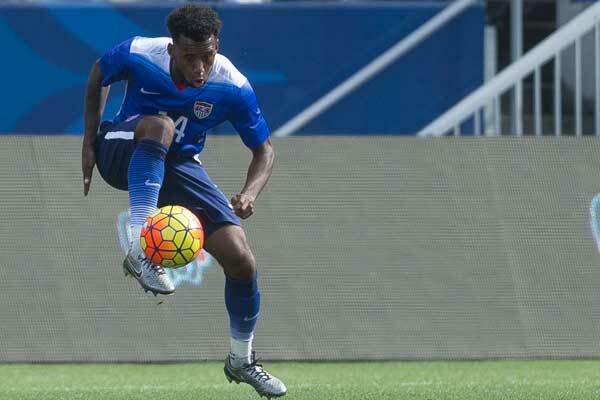 The USMNT’s youth movement continues this week just the same. It's another fresh-faced roster facing two steep challenges against Brazil and Mexico. Those are big occasions, even for a side that’s played the 2018 World Cup champions and reigning Euro champs over the past year. Up first is a five-time world champion whose canary-yellow jerseys inspire awe and fear in many. The Selecao carries a 17-1 all-time record against the US into Friday’s clash at MetLife Stadium in northern New Jersey. The second is the USMNT’s biggest rival, the southern neighbors who remain the regional giant and measuring stick for all of Concacaf. Even a friendly meeting carries outsized meaning for fans on both sides. So it will be again in Nashville, Tennessee on Tuesday. It all adds up to an intriguing barometer for a US squad with just two players aged 26 or older. Over the past year, the rosters have trended younger. New faces like Weston McKennie, Tim Weah, and Tyler Adams have become familiar with the setup. The coaching staff remains frozen in time by comparison. It's a curious result of the Fed’s strangely lethargic approach to the vacancy left by Bruce Arena’s resignation after the painful conclusion to 2018 World Cup qualifying. Arena’s right-hand man Dave Sarachan remains in charge with the “interim” tag quietly dropped from his title earlier this year. Most of his support staff are the same ones in place since Arena replaced Jurgen Klinsmann in late 2016. With the attention of USSF leadership taken up by the 2026 World Cup bid, the program’s new general manager post was only truly filled by USMNT legend Earnie Stewart a few weeks ago. Stewart expects to take a couple more months to complete the hiring process for the new coach. Even Sarachan has acknowledged that it’s an awkward state of affairs. A longtime assistant under Arena with the USMNT and LA Galaxy, Sarachan has done his job given the circumstances. He’s overseen a hearty transfusion of new blood and kept the team competitive in a year’s worth of friendlies. He's doing his best to set a useful foundation for whoever takes over the program in the months ahead. The players, too, have donned blinders of a sort. They focus on the daily work at hand, avoiding the distraction of the persistent uncertainty further up the chain. 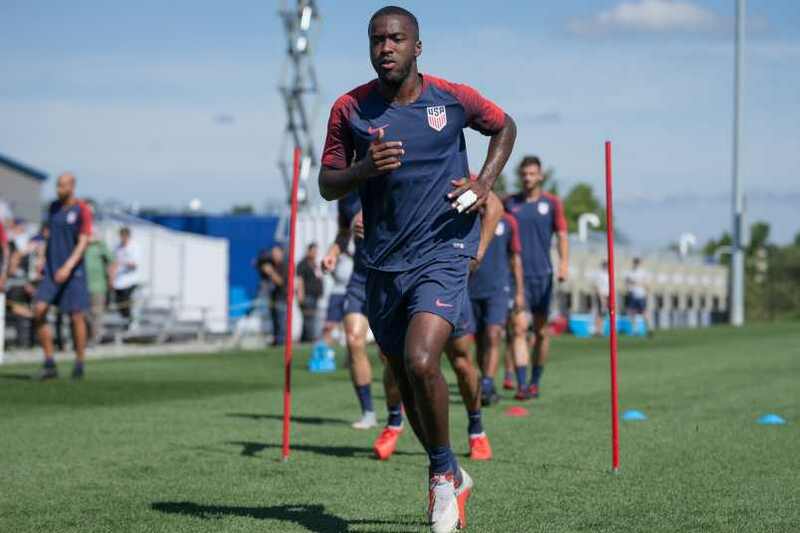 The USMNT will have to be highly motivated and prepared to keep pace with Brazil, who’ve brought a full-strength squad to the States that’s capable of blowing the doors off nearly any team on earth. The big names are familiar to most any soccer fan: Neymar, Coutinho, Firmino, Willian. In all likelihood, they’ll dominate possession, circulate the ball at will, and attack with flair and gusto. A subpar US performance anywhere on the field could lead to a humbling. All that quality may well lead Sarachan to arrange his team in a defensive-minded shape like the 5-3-2 used at France in June, where the USMNT carved out a hard-earned 1-1 draw. We know that battle-tested center back John Brooks will return to his club, Wolfsburg, after the Brazil game, so he’s likely to feature on Friday and would be a solid anchor for a five-man back line. The New York Red Bulls duo of Tim Parker and Aaron Long also make for intriguing central options given their club roles. Beyond that, Sarachan has generally preferred a 4-1-4-1 formation in his time in charge. The numbers and nature of attacking players called in this month also hints at a lone-striker setup in one or both of these games. Bobby Wood and Gyasi Zardes are options up top, while Andrija Novakovich is a dark horse with a varied skill set at the #9 role. The Mexico showdown looks like a better chance to be expansive and aggressive. Like the US, El Tri is in a state of evolution in the wake of their World Cup run. Tigres coach Tuca Ferretti is serving as an interim boss for a young squad after the departure of Juan Carlos Osorio. Will Sarachan try to make a statement and go toe-to-toe in the possession battle? If so, he can call on a range of technical, two-way midfielders like Adams, McKennie, Cristian Roldan, Kellyn Acosta, and Marky Delgado. Then there’s the subplot of international friendlies as shop window. Columbus Crew holding midfielder Wil Trapp, for example, has captained the USMNT this year. He reportedly was the target of a seven-figure transfer bid from England’s Blackburn Rovers earlier this summer. If he wants to explore such options in greater depth, and his acquisition of a Greek passport via his grandmother’s heritage suggests he might, these games could provide key exposure. If factors like that aren’t motivation enough for both players and observers this month, consider Sarachan’s hint that older veterans will begin to return to the USMNT setup in the fall, when duels with Colombia, Peru, England, and Italy await. As Crew edge closer to Austin, has MLS crossed a new threshold?